I received the tree rather quickly, it was in great shape, planted it, it has taken very well, and i can not wait for the first bloom! From early spring to late fall Lavender Crepe Myrtle blossoms in lavender flowers. Lavender Crepe Myrtle leaves are smooth and oval. Leaves are a dark green and change to a yellow, orange, or red in the autumn. 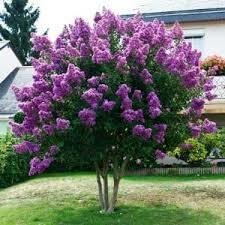 Lavender Crepe Myrtle can grow up to 20 feet in height growing 3 to 5 feet a year. It becomes in Hardiness Zone 6- 10. This shrub grows best in direct sunlight but can tolerate any well-drained soil. Lavender Crepe Myrtles are drought tolerant. They make an excellent hedge if planted in a row, or one by itself can create a focal point in the landscape. Lavender Crepe Myrtle will be beautiful in a garden. It will produce beautiful lavender blooms that will be in clusters at the ends of the branches. This smaller tree will provide a place for birds and small wildlife to enjoy. It will give lavender blooms that bees and butterflies will also love. Planting a Lavender Crepe Myrtle will be very fun. These trees are fun to watch them grow and become mature. They look amazing when in bloom in the spring and summer months. Lavender Crepe Myrtles are beautiful trees when in bloom and also very pretty when they have the beautiful green leaves. Lavender Crepe Myrtle will add a unique touch to the beautiful lavender blooms that it will provide. The tree will bloom in late spring and on through the summer months. It will also do well in moist and well-drained soil conditions. 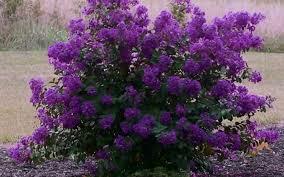 The Lavender Crepe Myrtle will bring color to a garden and home. This small tree will also bring lots of birds to property.